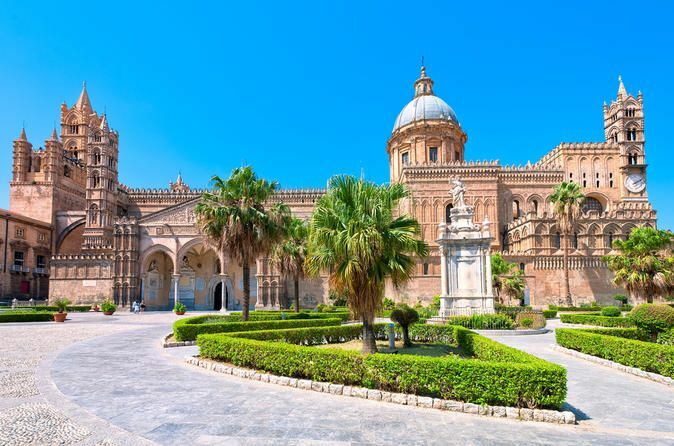 See the top attractions in the old town of the Sicilian capital of Palermo, including the Teatro Massimo, Cathedral, and Politeama Theater, Palazzo dei Normanni, once the seat of the Kings of Sicily, and the famous Cathedral. Next, travel to Cefalù, beautiful and picturesque seaside town, and one of the most popular destinations in Sicily. Here you can admire the Magnificent Cathedral Arab-Norman already UNESCO heritage, the old town full of narrow streets and unique views, the small port, and the splendid beach of fine sand and crystal clear sea.